The Liz Earle Cleanse and Polish Hot Cloth Cleanser is something that’s raved about in the beauty community and I’m sure we’ve all heard about it. But at £23 for 200ml, its something that’s slightly out of my price range, especially when it’s quite a lot of money to part with just to try out a product that might not even work for me. I’ve heard the Liz Earle Hot Cloth Cleanser raved about so much that it was something I was desperate to try, so when I saw Superdrug’s Vitamin E’s version of it for £2.99 for 200ml I jumped at the chance. As I mentioned in my previous Vitamin E Haul Post, I’ve been using this for around 3/4 weeks now, and the difference to my skin is amazing. I use the Hot Cloth Cleanser as part of my everyday skin care routine twice a day, once in the morning and once in the evening to take off my make-up. I basically rub the cleanser all over my face, and take the muslin cloth in hot water and then gentle rub the cleanser into my face using the muslin cloth. Vitamin E is something that’s always worked wonders for my skin, and this is no exception. It’s left my skin looking amazing, I’ve never seen my skin looking so healthy and radiant, as well as it feeling so soft and nourished. 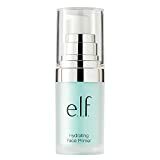 I’ve always suffered with dry skin, and after using this product I’ve noticed such a change in my skin, it feels so much more hydrated, and my especially dry areas of my face are gone. And as you know I’m trying out a lot more of the products from the Vitamin E range, so I’m hoping that these will work just as well for me as the Hot Cloth Cleanser has. This is certainly something that I will keep on repurchasing over and over again, and remain a permanent part of my skincare routine. Although the Liz Earle Hot Cloth Cleanser is still something I’d love to try, while I’ve found a cheaper alternative that works for me, I think I’ll be sticking with the Vitamin E Hot Cloth Cleanser.